Tô Tôm №1204 cards manufactured by A. Camoin & Cie, Marseille, for French colonies. 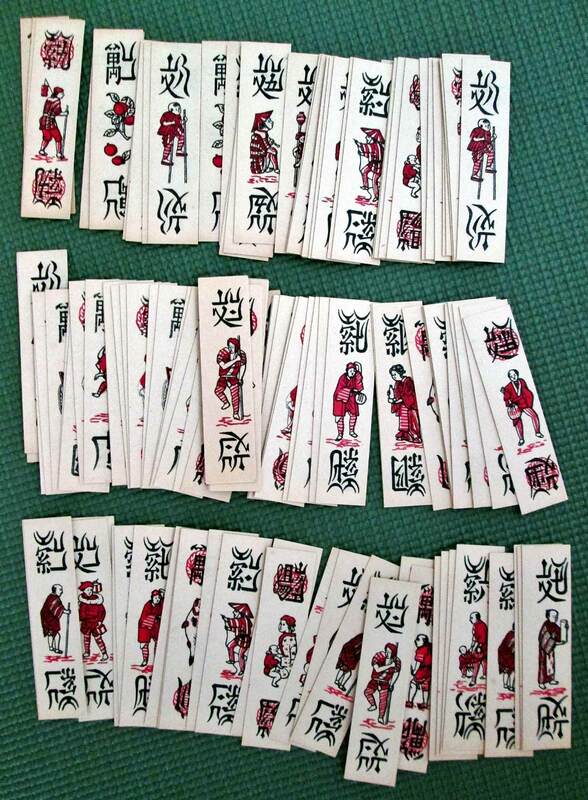 Tô Tôm is played with a 120-card Chinese-style deck and is derived from the Chinese game of Khanhoo. 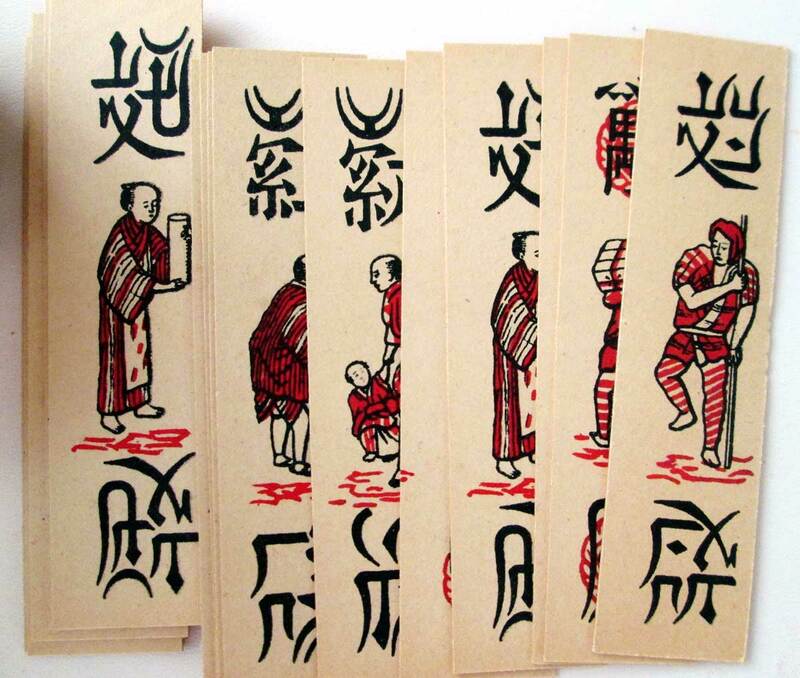 The head and foot of each card gives the rank and suit in Chinese characters. 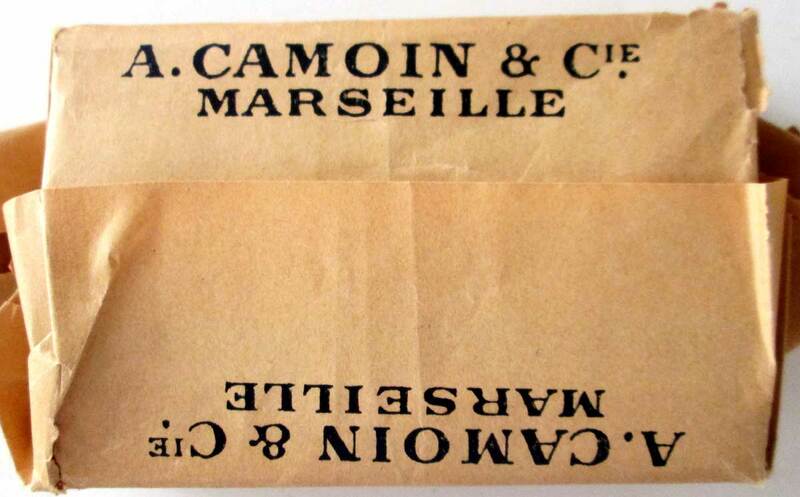 Above: Tô Tôm cards manufactured by A. Camoin & Cie, Marseille, c.1900. 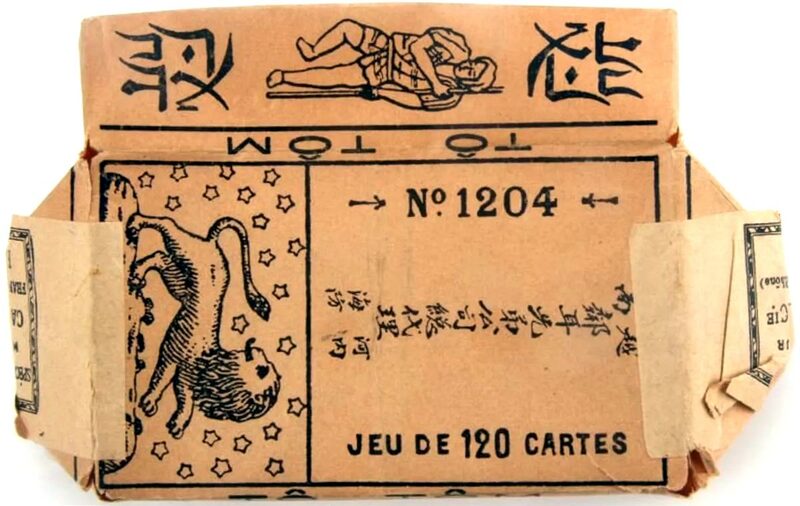 During French colonial rule, the Marseilles firm Camoin redesigned the deck to depict people wearing traditional Japanese costumes from the Edo period.